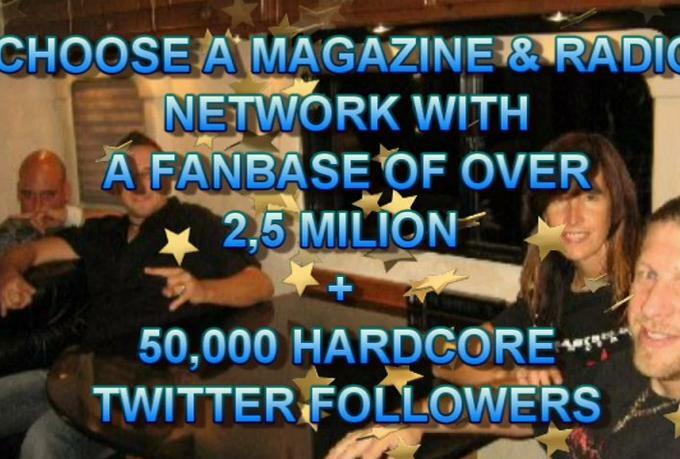 The JAMSPHERE Magazine & Radio Network has been an inspired gateway for the appreciation and promotion of the best original independent music since 2011, with thousands of top class reviews delivered worldwide. We offer PRO Review Packages for serious music makers! JAMSPHERE Magazine employs a professional team of writers with extended major label and music magazine experience to add shine and prestige to your music reviews. Get your music Passionately and Professionally Reviewed and featured in our Online Magazine, as well as published in our monthly Digital & Physical Printed Magazine which can be delivered worldwide to your doorstep. Check Extra Package Options For posting to more websites. The BASIC Service covers our 300-500 word review article published online to JAMSPHERE - PLUS posted to 2 more music sites - PLUS embed your Audio and/or Video widgets - PLUS post to Twitter, Facebook and 5 more social media websites..
@@## I Will Give You The Jamsphere Pro Music Review Pack For Online, Digital And Print Mags@@## is ranked 5 out of 5. Based on 43 user reviews.